To add dynamic content to your Web page, use Adobe ImageReady to create animated GIF images from a single image. Compact in file size, animated GIFs display and play in most Web browsers. ImageReady provides an easy and convenient way to create imaginative animations. • Open a multilayered image to use as the basis for the animation. • Use the Layers palette and Animation palette together to create animation sequences. • Make changes to single frames, multiple frames, and an entire animation. 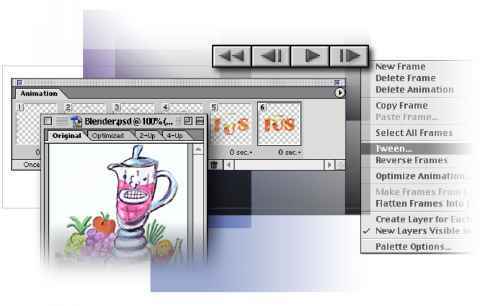 • Use the Tween command to create smooth transitions between different settings for layer opacity and position. • Preview animations in Adobe ImageReady and in a Web browser. • Optimize the animation using the Optimize palette. This lesson will take about 60 minutes to complete. 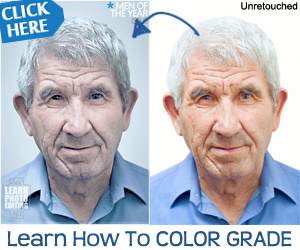 The lesson must be done in Adobe ImageReady, not Adobe Photoshop. If needed, remove the previous lesson folder from your hard drive, and copy the Lesson16 folder onto it. As you work on this lesson, you'll overwrite the start files. 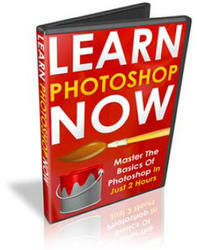 If you need to restore the start files, copy them from the Adobe Photoshop 7.0 Classroom in a Book CD.